It’s been a few months since I wrote a blog article, but as I did last year, I’d like to bring you up to date on the roster moves that Billy Beane and Co. made during the offseason. OF David DeJesus came over in a trade with the Kansas City Royals on Nov 10th for RHP Vin Mazzaro and LHP Justin Marks. DeJesus, 30, batted .318 with 5 HRs and 37 RBIs in 91 games with the Royals in 2010, but missed the last two months of the season after surgery on his right thumb. He played primarily in right field and has a 241-game errorless streak dating baci to Sept 15th, 2008.
recurring shoulder problems, $1Million 1-yr deal laden with performance incentives. DH Hideki Matsui signed as a free agent on Dec 14th (LA Angels), $1.25M 1-yr deal, a pure hitter with 20-25 HRs/season potential and a career batting average of .290, should hit 3rd or 4th in lineup (a HUGE upgrade from Jack Cust!). OF Josh Willingham came to the A’s in a trade with the Washington Nationals on Dec 16th for RHP Henry Rodriguez (100+mph) and OF prospect Corey Brown. Willingham, 32 in Feb, has 7 years in the majors, averaging 20 home runs and 66 RBIs over the past 5 seasons, and is another middle-of-the-order hitter. He had surgery for a torn meniscus in his left knee last August, but says he’s fully recovered. He made $4.5M last year and is going to arbitration unless a deal is made today (Jan 17th), and will probably earn more than $4.5M in 2011. RHP Rich Harden signed as a free agent on Dec 21st (Texas Rangers), a 1-yr deal worth $1.5M+incentives. No stranger to the A’s (2003-08), he has been plagued by injuries most of his career, but has lights out stuff when he’s healthy. He’ll be vying for the 5th starter slot with Brandon McCarthy. 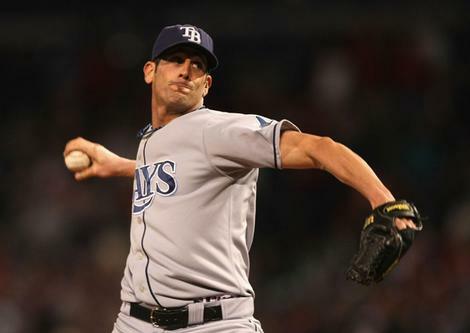 RHP Grant Balfour signed as a free agent on Jan 14th (Tampa Bay Rays), a 2-yr $8.1M deal with a club option for 2013, to bolster the bullpen. Balfour, 33, an Australian, went 2-1 with a 2.28 ERA in 57 appearances last season. He still has to pass a physical, likely today. LHP Brian Fuentes (Minnesota Twins) signed as a free agent on Jan 16th, a 2-yr deal expected to yield him $5M+/year (details not yet announced). Fuentes is a 4-time All-Star, who has averaged 31 saves over the past 6 seasons with the Rockies, Angels and the Twins. Last year he recorded 24 saves, a 2.81 ERA and a 1.08 WHIP*. He will also have to pass a physical, most likely today or tomorrow. If Andrew Bailey is healthy, Bailey will probably still be the closer, but Fuentes gives Manager Bob Geren the option of going with a left-hander to close out a game. 2B Mark Ellis: The club exercised it’s option for 2011 and will pay Mark $6M for the year. Ellie led the A’s in batting in 2010, hitting .291 in 124 games. He also has the 2nd-best fielding percentage (.990) among 2nd basemen with over 750 or more games. Always a fan favorite, he’ll be back in the lineup for one more year. OF Coco Crisp: The A’s also excercised their club option for 2011, and will pay Coco $6M. When Coco was healthy in 2010, he hit .279 with 8 HR and 38 RBIs in 75 games, and stole a career-high 32 bases. To put it in perspective, he finished 2nd on the A’s in steals (to Rajai Davis), 3rd in triples (4), and 5th in homeruns, despite missing over half the season! 3B Eric Chavez, who spent his whole career in the Athletics organization, including 13 seasons with the A’s. He is a .267 career hitter with 230 HRs and 787 RBIs in 1,320 games, and holds numerous A’s records, ranking in the top 10 in nearly every category. He also won 6 consecutive Gold Glove Awards from 2001-06. He is reported to be working out with teams (Dodgers, for one) in hopes he can find a place to play in the majors in 2011.Contracts Not Tendered or Players Released: DH Jack Cust (now with the Mariners), OF Gabe Gross (still unsigned), OF Travis Buck (Indians), P Justin Duchscherrer (still unsigned, but Yankees showing interest), OF Jeremy Hermida (Reds), P Russ Wolf (Pirates), OF Jeff Larish (Phillies), P Boof Bonser (Mets), P Justin James (Brewers), P Brett Tomko (still unsigned), IF Dallas McPherson (White Sox), IF Corey Wimberly (Pirates), and 3B Akinori Iwamura (Rakuten, Japan). Traded: OF Rajai Davis (Blue Jays for 2 pitching prospects), P Vin Mazzaro (Royals, in the DeJesus trade), P Henry Rodriguez (Nationals, in the Willingham trade). We will miss his hustle and that great smile. I hope he has the opportunity to play everyday in Toronto. He deserves it. I haven’t mentioned that the A’s won the right to negotiate with Hisashi Iwakuma, for which they had to pay $19.1M. They had 30 days to negotiate with his current team, the Rakuten Golden Eagles (the same team that Akinori Iwamura will play for in 2011). Negotiations broke down over the salary that the A’s would pay him (in addition to the $19.1M!) and Iwakuma will return to Rakuten to finish out his contract year there. The $19.1M was returned to the A’s, under the Japanese negotiating rules. Also, I didn’t mention that the A’s claimed Edwin Encarnacion on waivers from the Blue Jays in November, but released him back to the Jays in December. That’s it for now. It looks like this will be an exiting year for the A’s and their fans. The new aquisitions, re-signings, and the players no longer on the team, have put the A’s in position to compete creditably for the AL West Division Title in 2011, if the injury bug doesn’t take a huge toll. Nevertheless, there is so much depth on this roster that very capable guys can step up and fill any holes if players go down. I can’t wait! Ellie: Mark Ellis is on fire! What a great walk-off homer which skimmed the left field fence yesterday! He’s batting something like .460 since the All Star Break. Welcome back Ellie. Is it just me? Or is it fun to watch the young kids play ball? Yes, it’s painful when one of the young pitchers gives up “the big inning.” but by and large the kids are playing their hearts out and it’s just plain fun to watch. The A’s will probably finish in last place, but if they can get to .500 that will be a huge victory. Duke: Something strange is going on with Justin Duchscherer. He missed a recent rehab start in Sacramento and he was penciled in to start for the A’s on Tuesday against the Yankees. That too has been scratched. Brett Tomko, who was released by the Yankees on July 21st and has been conspicuously mediocre at Triple A Sacramento, has been called up to pitch tonight against his former team, pushing Gio Gonzales to Tuesday’s game giving him an extra day between starts. The reason for the Duke scratchings were said to be for “non-baseball reasons.” The last time we heard that explanation, Dallas Braden’s beloved grandmother was seriously ill. If is it a reason like that, why can’t they just come out and say it was a family emergency or just say what it is?. This cloak and dagger secrecy doesn’t make the organization or Duke look particularly good. This secrecy is not unlike when the A’s placed Jason Giambo on the DL only to find out later he went to Las Vegas to work on his hitting. Two weeks later the A’s released him. All very strange. Geren: Has anyone else but me noticed that when Geren gets tossed from a game, the A’s come back and win the game with Ty Waller managing? That’s happened 2 out of the 3 times Geren’s been thrown out this year. Will anyone ever forget that game in Boston when he was tossed in the 3rd inning and Waller guided the A’s to a 9-8 victory in 11 innings? Now there could be all sorts of reasons the guys get psyched up after their manager gets tossed, but one of them could be that Bob Geren is a lousy manager. He certainly has made some bonehead decisions this year. And when asked about Giambi going on the DL or Duke being scratched, he just hems and haws, and haws and hems, as Mychael Urban so succinctly put it. As you probably know, Geren and Billy Beane are tight, Geren having served as BB’s best man at his wedding (or was it the other way around? ), so the likelhood of BB firing him is nil. But Lew Wolff as managing partner could order it done. Come on, Lew, put us out of our misery and let Geren go at the end of the season. Geren’s track record stinks for a reason. He has no leadership skills. He can’t motivate the team. He hasn’t created a culture of success in the clubhouse or on the field. You can have the latter and still not win, but he needs to fire these guys up and expect them to win. If he would do that, they will win. His deadpan affect does not instill confidence in the players except when he argues balls and strikes and gets himself tossed, and I think it is instructive that the team wins when he is not in the dugout. So not the A’s take on the hottest team in baseball: the Bronx Bombers. I think Brett Tomko will have his hands full, as will the other young starters, but we have beaten them bepore and can do it again. It will be fun to watch, no matter the outcome.